Can anyone tell me what a “child study plan” is? Our county does not do 504 Plans. A person at school told me that the child study plan is like a 504 Plan. If the school writes a “child study plan,” do they have to follow the strategies like in a IEP? If they do not follow the strategies, is the school in noncompliance with the plan? What can a parent do? You say your district “Does not do 504’s.” Section 504 of the Rehabilitation Act is a federal civil rights law that prohibits discrimination against individuals with disabilities. Compliance is not optional. Under Section 504, the child with a disability has equal access to an education. A 504 Plan may include accommodations and modifications. A Section 504 Plan is not the same as a Child Study Plan. 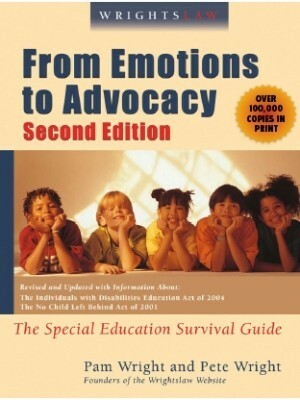 write a short, factual letter to the director of special ed or school supervisor. Explain that you were told that your district “doesn’t do 504’s” and that [someone] advised you that a Child Study Plan is like a 504 Plan. You are confused – this is not consistent with what you’ve read elsewhere. Ask if your understanding is correct. In Virginia, a Child Study Team is part of the Identification and Referral process. These teams have different names in other states and may operate differently. 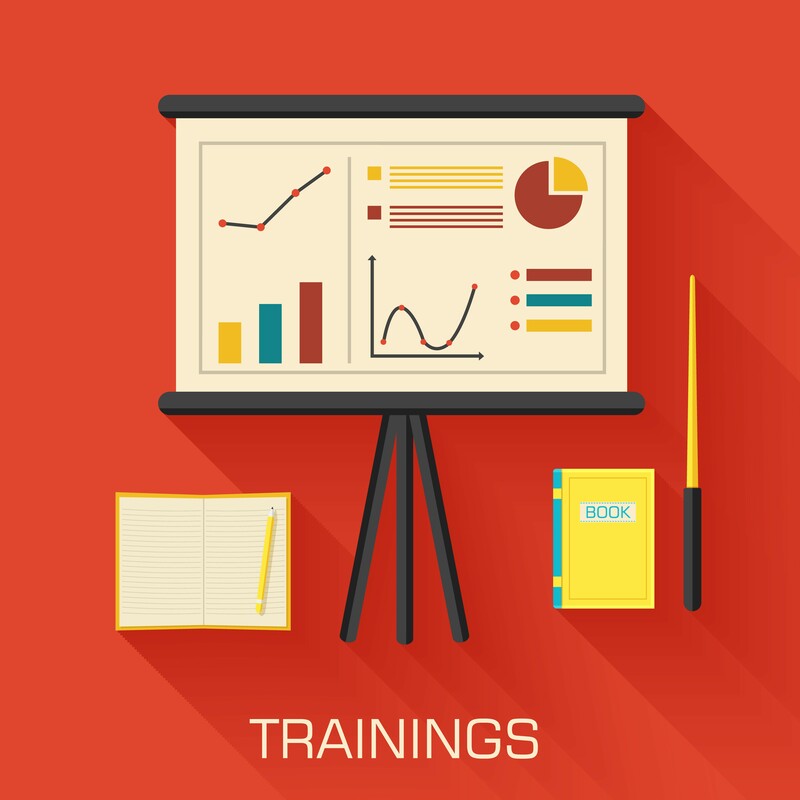 The Team recommends strategies to address a child’s learning, behavior, communication, or development problems. 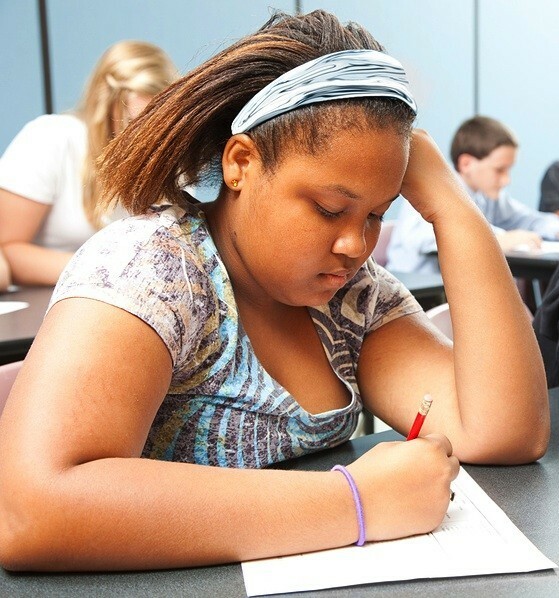 The Child Study Team may also refer the child for a special education evaluation. 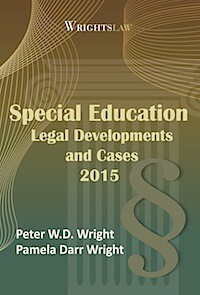 You need to learn how to find and use your state special education regulations. 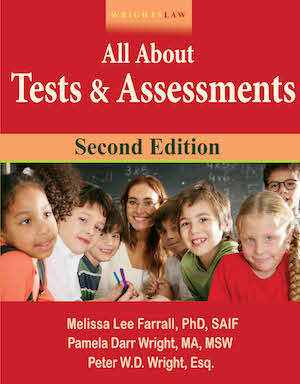 You need to learn about school teams, child study teams, child find, identification & referral in your state. 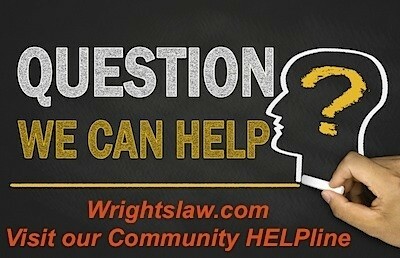 Go to the Wrightslaw Yellow Pages for Kids site and click the link to the Directory of State Departments of Education. You should be able to download your state special ed regulations from your State Dept of Education’s web site. Save the regulation on your computer. 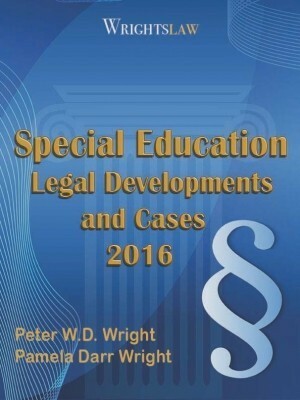 This entry was posted in Advocacy, Child Find, Discrimination / Section 504 / ADAA, IEPs and tagged Child Study Plan, Discrimination, Section 504, Special Education Regulations by Wrightslaw. Bookmark the permalink. Do parents have a right to be part of the 504 team? My child and I attended a 504 meeting with a “504 coordinator” at which several accommodations were discussed and agreed upon. We were told it would take about a week for the 504 coordinator to type up the report and then we would need to sign it. Can I insist on another 504 meeting? Do parents have a right to participate in 504 meetings? You can request another 504 meeting. 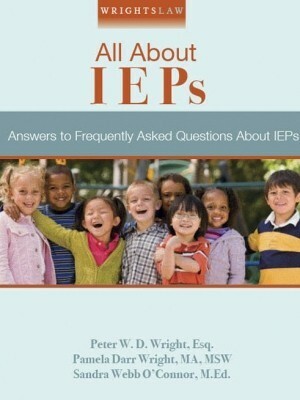 A 504 plan is not the same as an IEP. A 504 plan is required to be developed by the school if needed just for accommodations. The school does not even have to have a meeting with you. The only thing they are required to tell you is if there are any changes made to the plan. I have spoken personally with Pete Wright, and attended his laudable, practical workshops in the St. Louis, MO, region. He ‘invited’ me ‘onstage’ to help him address 504 issues. Yet, I continue to observe that school districts, private and charter schools, litigators, and advocates AVOID defining the necessary, WRITTEN parameters of ‘504’ plans. It appears that many ‘schools of thought’ acquiesce regarding the essence of ‘Section 504 of the Rehabilitation Act of 1973’. Understandably, this agreement creates some essential ‘rights’ for children attending our nation’s schools. Notably, this agreement most often permits ‘time and one half’ completion of the testing entry into colleges/universities (ACT and SAT). Still, WRITING varies too greatly to afford equality. 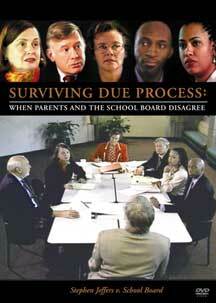 It may be best to hire an advocate to help you navagate these discussions with your school district. An experienced advocate will know the laws and will hold them accountable when they try to with hold services for your child. It is GREATLY concerning that a parent needs to consider HIRING ($$$) an advocate to “navigate” these discussions. Both IDEA (EHA at the time) and ‘504’ were passed in the 1970s. 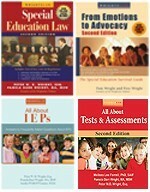 By now, plentiful local, informational sources should exist to permit EVERY parent access to truthful, comprehensive, (even if) questionable, resolved understanding of absolute rights and acquisition of support related to a free, appropriate public education for EVERY child aged 3-21 in America. This results- first and foremost- from the parent’s yearly payment of ‘personal property taxes’. Via the taxpaying parent, the child has RIGHTS. If your school administrator has agreed with you that your student qualifies for a written 504, why does it seem challenging to get the school to write a 504? my son is an 8th grader at a private catholic school in Missouri has a dx of adhd of the combined type with no learning disabilities and is currently on medication. His teacher says they do not have to do a 504 plan because they are a private school. I need one in place before he starts public high school. What do I do? It doesn’t matter whether they are a public or private school for 504. It depends on whether they receive federal money. Roman Catholic schools usually receive a subsidy from USDA for their lunch program. I have a friend that when OCR at US Ed didin’t want to get involved, USDA’s Office for Civil Rights made them see the light. But if they don’t get federal money, they’re right; they don’t owe under 504. They still may be on the hook, however, under the ADA. For IDEA, the public-private distinction matters. IDEA Applies only to public schools, and not post-secondary, so community colleges aren’t included either. In response to “our disrtict doesn’t do 504’s” In our district this statement came from the Director of Special education. She must be really misinformed to have made that statement to several parents. And she gets away with saying this. The fact is 504 plans are not liked by regular ed. teachers. all of the work is put on the reg. ed teacher and they don’t want it. Too bad. The 504 plan is a legal document that must be followed. We are in mediation with OCR at this time because the district refused to follow my daughter’s 504. We were told that we have won big with compensatory educational damages. We are still waiting for the tutor. Their lawyer is dragging his feet. We keep pushing. Any plan that puts all the work on the reg. ed teacher is hurting the child and causing them to fall further behind. Section 504 of the Rehabilitation Act is a federal civil rights law that prohibits discrimination against individuals with disabilities. Compliance is not optional. 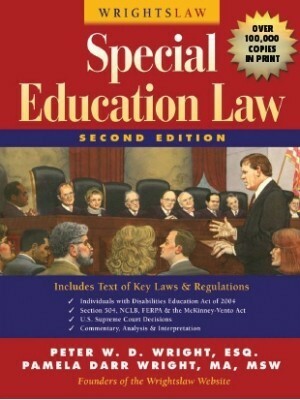 What are the 504 laws when it applies to a student with a 504 with two marked learning disabilities? The professor refused to reasonable accommodations for extended time, with written expression, and ADHD on the 504. The Student was kicked out of the college and given three days to appeal. Marquette University- Help he is a Senior and had been jumped on their campus, suffered a severe concussion, then was put on academic probation. Denied accommodations, and after $60,000 dollars in debt was forced to leave his Senior year! We have numerous emails and paper trails proving his pleading for extended time and being denied. All his other professors honored his needs to succeed. My child had his 504 taken away and replaced with an IEP which did not include the problem of absences. I was never told his 504 was gone until the school started harrassing about him missing days. I told them I wanted it back had his dr. write the letter which they refused to accept. They now want to test him again for a learning disablity(since the passed the last test with no problems) to give him another IEP. Basically they are refusing to give him the 504. Just days ago I was served court papers because of his absences. I need any help I can get with this. My son has been struggling for a few years. It is clear now that we need to but a 504 plan in place. When I asked him said he would do a RTI. Then go into the 3 levels. But already my son was in trouble for not finishing his work in a timely fashion, It is like a vicious cycle. I really like my principal but I need some help in proceeding,. His neurologist will be sending a report and recommendation. I think I am going to take the advice that you suggested above. I have documented the in class help he has received and we have exhausted that. So I really need advice. I think he is lost in the shuffle. Are non-public (private) schools required legally to provide 504 plans for handicapped or health impaired students enrolled in the schools, or would it be the responsibility of the public school district to offer a 504 to the parent of the student enrolled in the private school? I have been told that my school does not do 504 plans, and i have been reading and trying to find out what i can do for my child. My child (teen) was denied services, identification under child find and 504 for 4 years by a public suburban high school in Ohio despite the diagnosis of four private psychologists &his family physicians who all confirmed he was classic ADHD/ODD with math disability. He failed every core course from 8th grade-11 grade and entered his senior year a sophomore/freshman. I advocated for my child following this website Wrights’ books. School battled even against an “IAT”intervention plan. I finally found legal representation for him through a non-profit agency for the disabled. Due process was filed. We did not prevail, but the hearing officer did confirm his disability & that the school violated child find. We appealed. My child is now in a school in another state, that said begin process all over. I have no wisdom to offer. 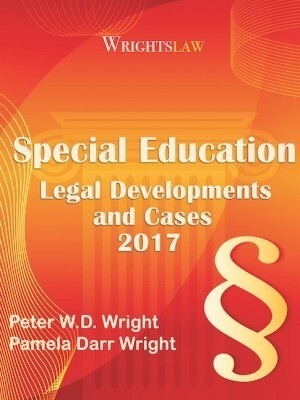 I just wanted to comment that this blog is a true gift for all of us involved in advocacy, as are the Wright’s Law books and workshops! My child attends a catholic school. I was told that he qualifies for the Section 504 Plan. Since they are a private school do they have to comply? The school is calling it student assistant program. they gave him help one semster last year they blew it off the second semester. What are my options? The “catholic school” should have ONLY responded in this manner because you presented them with IDEA/DSM-V authenticated ‘proof’ (diagnosis) related to an existing disability in your child. If no such evaluative proof exists, you are entitled to an interdisciplinary, independent free special education evaluation for your child (age 3-21 required), and a multidisciplinary evaluation team meeting- with you in attendance- that occurs within ABSOLUTE timelines established by IDEA. From that ‘foundation’, you can make decisions regarding ‘504’ (a DIFFERENT set of ‘tools’ to seek assistance for your child) and the “catholic school’s” responsibility. Seek the ‘special education’ office that serves your public school district. You pay TAXES for their existence. If the “catholic school” exists within the ‘public school district’ that ‘bills’ your personal property for taxes (yearly) they are required to comply with all existing rules and regulations related to section 504. You ‘gain’ more power if the ‘public schools’ that ‘tax’ your property yearly receive FEDERAL funds from any type of ‘public school free lunch’ program. Your ‘options’ include contacting the source of ‘special education’ services in this same public school area, and requesting a free, interdisciplinary evaluation that assesses your child’s (age 3-21) strengths/weaknesses related to innate ability to achieve in a ‘public school’.Without your ‘permission’, a private school may only ‘blow off’ appropriately evaluated educational needs after you participate. Can somebody explain to me if catholic schools have to implement 504 act? The ‘truth’ becomes ‘muddled’ by how this individual’s state, public school district, and local district (‘personal property tax’ receiver) has been ‘permitted’ to ‘pass’ (usually via the elected public school board of education) acceptance/alteration/interpretation of current IDEA/Sec. 504 legislation application to all K-12 education in the resident’s district. The POWER of this individual relates to wherever the ‘source’ of school tax dollars ultimately accumulate, as this is where the individual finds ‘voice’ due to paid taxes. Thus, ASK this question of every local source of schooling where you reside, place answers in WRITING, and communicate further with people like Pete Wright related to the specific responses you receive. Remember that lack of response abuses your rights. Iam a special education who works for a charter school. A parent came in with a 504 that requests a one on one para for her child due to his focusing issues. Her child has recently been diagnosed has Bi-polar. His behavior impacts his own learning as well as those of his peers. CSE reviewed him and stated that based on his evaluation outcomes he did not qualify for any special services. This is why the mom went the 504 route. A meeting with the parent was held in which the principal said to parent that she would expell her són if he received another suspension due to his behavior.the student is a 7 year old first grader who is currently repeating the first grade because his behaviors impacted his ability to do the work(administrations decision). So this student has a 504 that is not being implemented and the parent is being threatened to take her són out of the school. How should this parent proceed? First, I express sadness that a law I was proud to advocate and witness through passage (EHA- 1975, changed to !DEA, 1990, and so forth) became minimized, supplanted, and altered by- what also was- a truly fine extension of individual rights. I mean Sec. 504., but I also mean that ‘rules/regs’- state by state- have managed to bastardize the purpose/outcome of BOTH pieces of legislation, particularly as these relate to a ‘free, appropriate public education’ (FAPE) for ALL children in our nation. This parent needs to request a current multidisciplinary evaluation- through ‘special education’ parameters- and attend to the outcome with advocates ready to design ‘504’ planned outcomes, in WRITING. Thanks for this info about the Child Study Team. I had some of the same questions so I found my district’s website and typed in the search term “child study.” I found information about the whole child study process. You can try the same search for your district and state (just substitute the names/places) to find out if they use a Child Study Team or Plan.